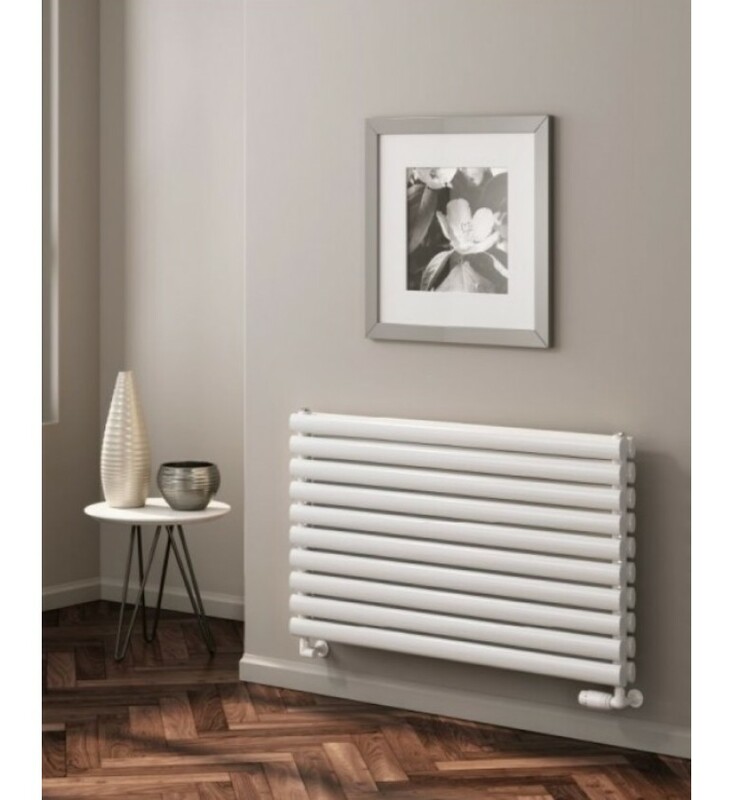 The Reina Nevah Horizontal Radiators compliment the Neva range with their horizontal oval tubes. 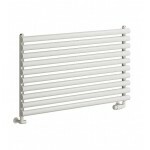 Range: Single and Double formats, with heights of 395 & 590mm, and widths of 600, 800, 1000, 1200 & 1400mm. Finish: Standard white & anthracite, and RAL colours. Fuel Source: CH standard, with Dual Fuel and Electric-Only options for the 590H models.. Mounting: Wall mounted - brackets and air-vents included. Pipe Centres: Width less 45mm, and 47mm (single) from wall or 63mm (double) from wall. 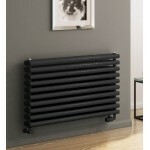 FREE Next Day delivery: UK mainland only, Highlands excepted.